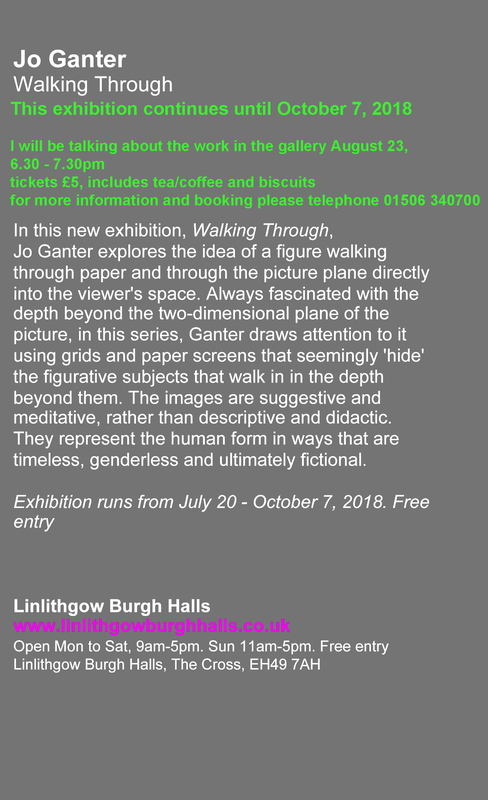 Thank you to everyone who travelled from Glasgow and Edinburgh for the opening of this exhibition at Linlithgow Burgh Hall. It was so wonderful too that the local beekeepers came! 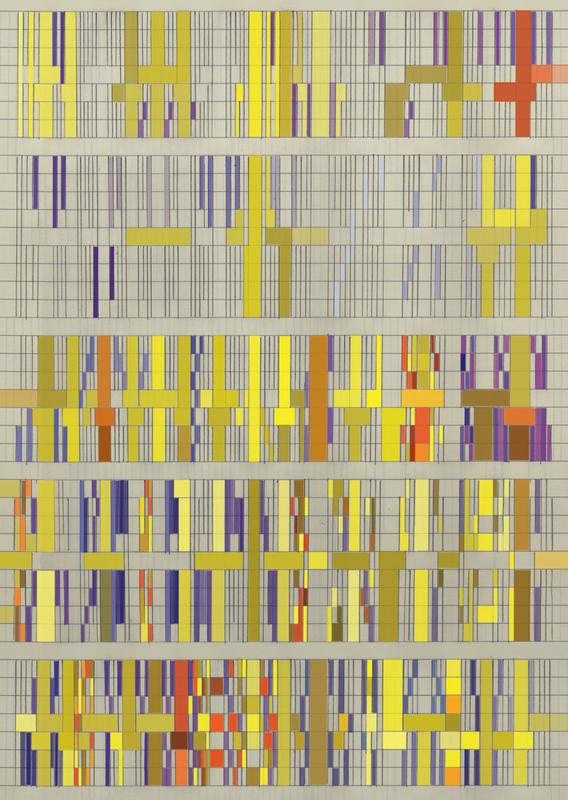 I’m showing a series of graphic scores made in collaboration with Raymond MacDonald at The Briggait in Glasgow. This is the WASPS flagship building. The old fish market that traded under the bridge. Now refurbished by WASPS to provide office space, artists’ studios and exhibitions space. The exhibition is on the wall and open to the public from March 5th. 9.30-5 Monday – Friday. Our opening event and musical performance is postponed because of the snow until March 16th, 6 – 8pm. George Burt on guitar, Una McClone on double bass, Stuart Brown on drums, and Raymond saxophone. Under Bridge Gate is the title of the new piece made using imagery of the wonderful roof of The Briggait and will premier. Drawing Sound opened at the Kleinert James Center for the Arts in Woodstock, NY, August 25th, 2017. 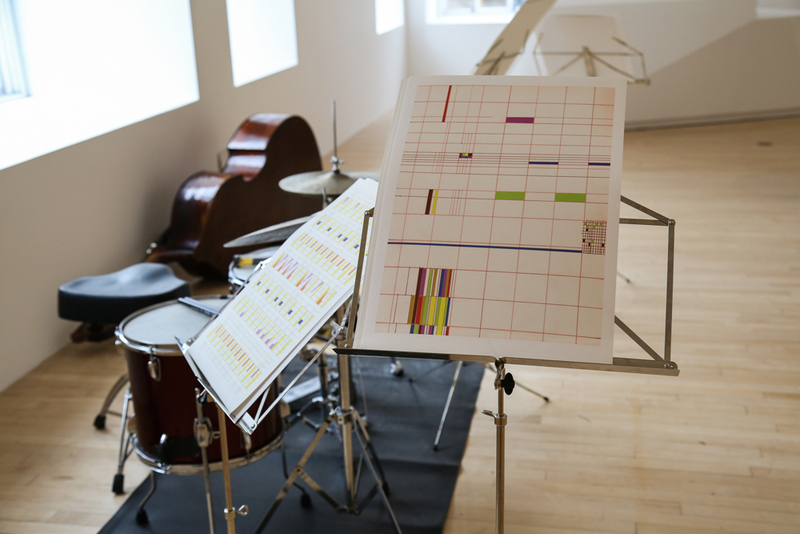 It is the first exhibition of graphic scores I have produced with American composer and musician, Marilyn Crispell and brings this work together with work I’ve made with Raymond MacDonald as, Running Under Bridges. 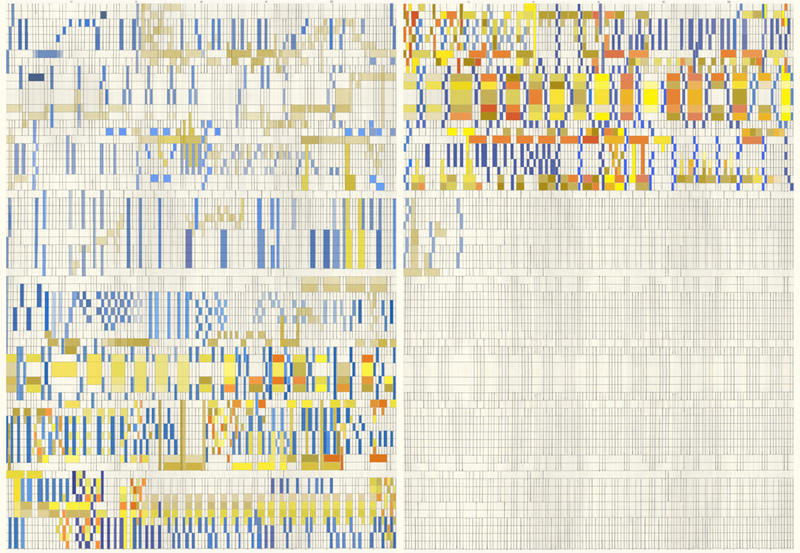 The two series of images worked well together, contrasting colour and tone and methodologies but always returning to the grid-like matrices and wonderful musical improvisations of the musicians. The scores made by Running Under Bridges are created to be played by any musicians who like to improvise and respond to image and one another as they perform. They have different instructions that indicate time, instrumentation and type of musical material. 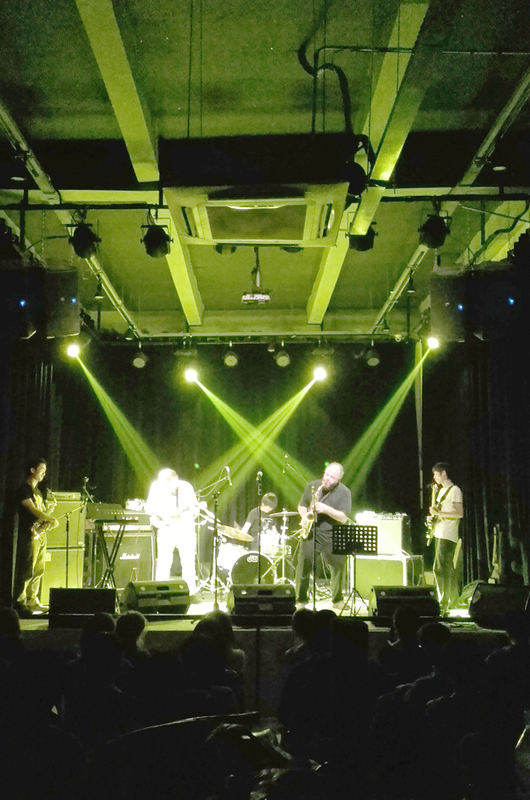 They are abstract and allow the improvising musician great freedom for creativity as they play. Gradations of Light, made with Crispell, were intricately scored by her to indicate how she herself would play them. Recorded as solo pieces and then again with David Rothenberg as duets, on clarinet and laptop electronics, they are thematic, around the times of day, changes of light and response to nature. Rothenberg is known for his improvisations with cicadas, whales and birds which made him the perfect partner to duet these pieces. The opening performance in Woodstock featured works from Running Under Bridges, including our new Blue Fugue and Yellow Fugue, and two duets from Gradations of Light. 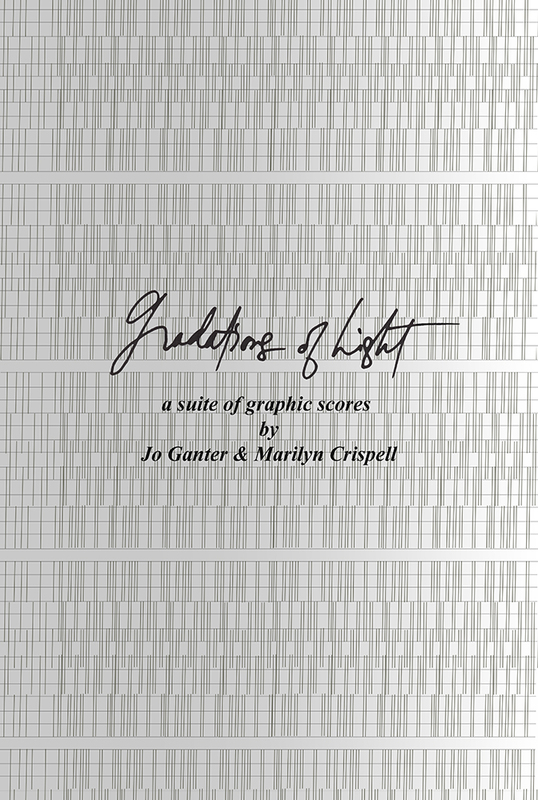 Gradations of Light, is a suite of seven graphic scores made in collaboration with American pianist Marilyn Crispell. Marilyn is based in Woodstock NY and I visited her in February this year for ten days. We worked intensively to create a number of ideas for images and sounds. 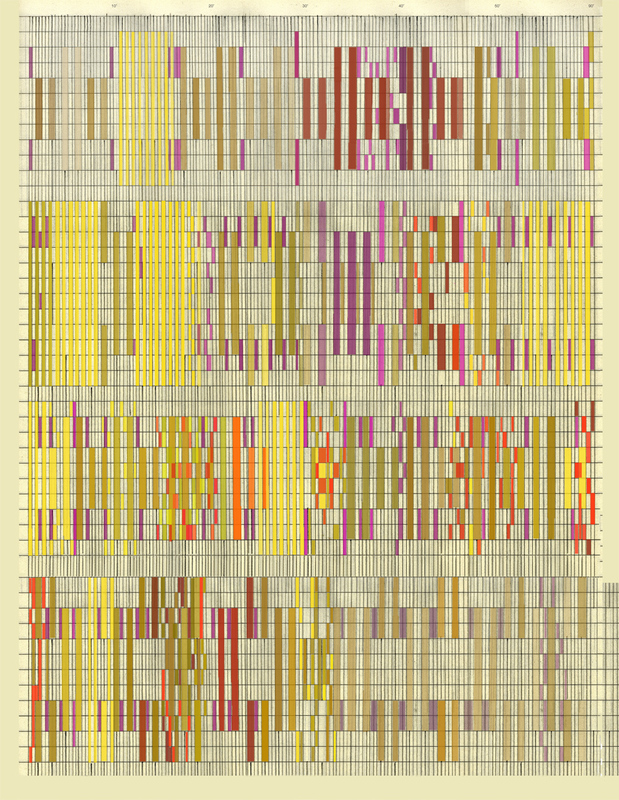 Woodstock is surrounded by trees and I walked through forests every morning which I realise inspired some of the ‘grid’ matrices I used for the scores, especially Morning. Marilyn introduced different calligraphic lines and geometric shapes to each matrix, with the sounds she wanted to play already in mind. Each image was made in response to a time of day: moving from dark to light and back to twilight. We will be exhibiting Gradations of Light at the Kleinert/James Center for the Arts in Woodstock, NY, August 25 – October 8 2017. We had one day in a recording studio for Marilyn to play the pieces solo, and she invited David Rothenberg to perform duets with her. In the end there are recordings of all seven scores played solo, and with six played as duets. Marilyn creates a wide range of sounds on the piano, playing the strings as well as the keyboard. David played clarinet, following the long winding black lines that appear in Dawn with beautiful, long, undulating notes. He also created a number of digital beats/pulses to reflect the repetitive nature of the ‘grids’. Not how I imagined a recording studio! A beautiful and creative space to work in.